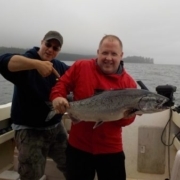 Join Us this year and Next for some of the best saltwater and freshwater fishing possible on North Vancouver Island . 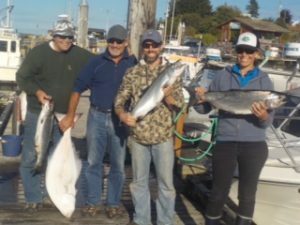 Join us on the North Coast of Vancouver Island Port McNeill & Port Hardy BC for our 2018 World Class Fully Guided Sports Fishing Season. US Guests Get approx. 20-25% OFF, Book Now! 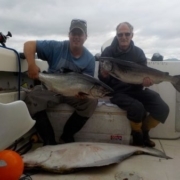 1-855-805-3474 All Charters are in Canadian Funds.We offer All-Inclusive Salmon Fishing and Halibut Fishing and Fly Fishing Packages for Port McNeill Fishing, Port Hardy Fishing, Castle Point, Rivers Inlet , Winter Harbor and Quatsino Sound . 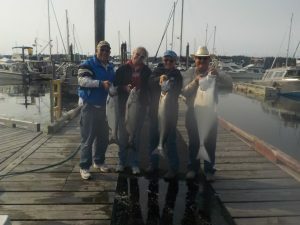 Current Pike Place Market value for fresh Wild Whole Silver/Coho Salmon is $ 59.95 per fish. 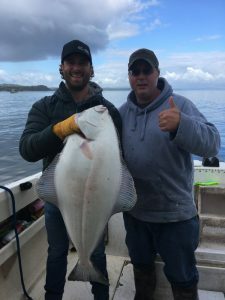 You Won’t Find A Fresher Product Then Self Caught Halibut or Salmon.So come visit us in Port McNeill or Port Hardy North Vancouver Island for some all-inclusive world class guided fishing. 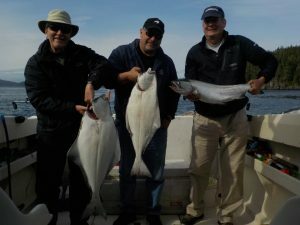 Your fish will never be previously frozen siting in some freezer somewhere and it will be caught by you and your fishing party with the help of our amazing guide and Captain Steven Cahill. So come see us this year and get yours. 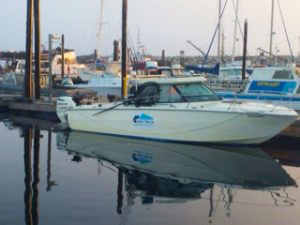 We also offer our great service with picks ups and launches out of Port Hardy & Quatsino Sound as well. #WeGoWhereTheFishAre. 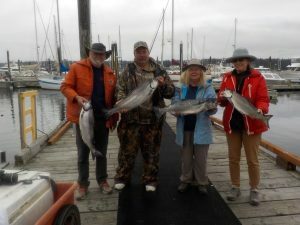 The Following are Photos of some of our 2017 Trips All Satisfied Guests We Do Our Very Best To Meet Everyone’s Expectations. Thank you all. 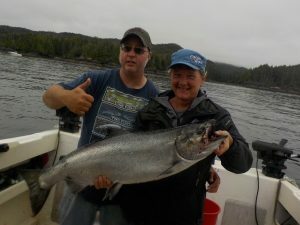 Tight Lines and See You All Soon.We would love to take you out fishing and help you get some of this delicious species. 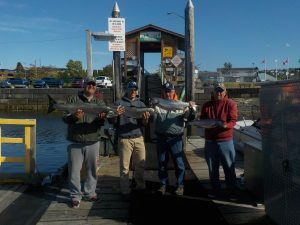 We still have room for day trips and packages for 2018. Book Now and get in on the action all prices are charged in Canadian Funds. feel free to book for next year as well to get the dates you want. Guest from the Ontario area. 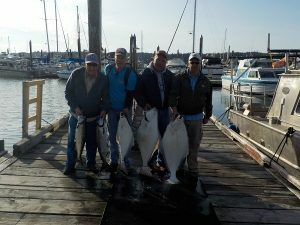 We use only the very best gear thanks to GIBBS DELTA TACKLE, ISLANDER REELS, OKI TACKLE, SCOTTY, PESCA LURES, SHIMANO , PENN REELS for Helping making all these moments possible for our wonderful guests.